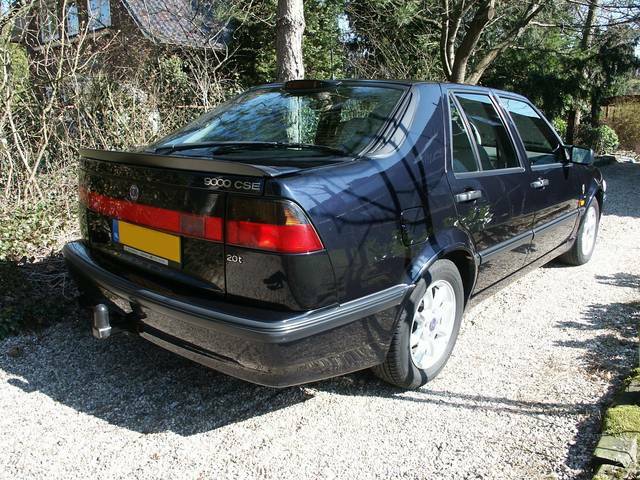 My Saab 9000 CSE 2.0lpt Anniversary, finished in beautiful Midnight Blue with a bi-color creme leather interior. Model year 1997 celebrating 50 year Saab. The 2.0 litre engine produces 215bhp and has a max. torque of 310 Nm. Responsible for these nice figures is a tuning by Hirsch Performance. Mileage now (Sept. 04) is 208.000 km. 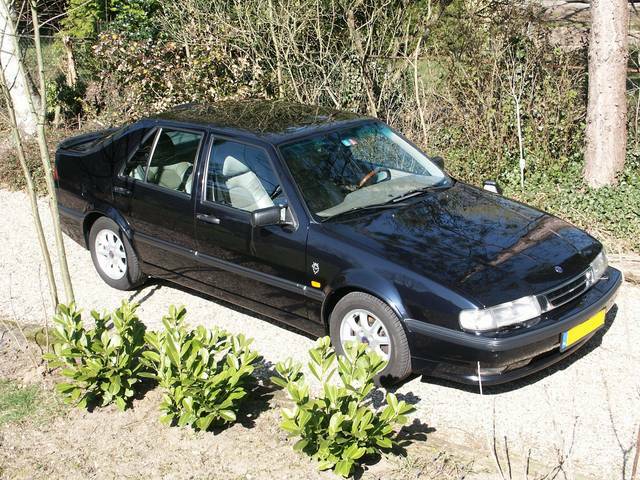 Previously registered in Holland but since January 04 back in is home country Sweden with the Saab engine factory and the Scania truck factory just around the corner.